At Davies Homes we are passionate about providing high quality and modern homes, designed to allow the homeowner the very best in contemporary living. 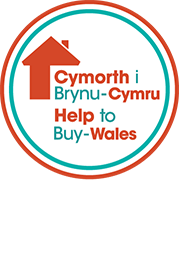 Based in Pontypridd, we have been building homes in South Wales since 1985 and have completed over 1000 homes in that time. We pride ourselves on being a family run business, and employ several generations of other families, along with supporting local trades. We put the customer’s satisfaction first and offer exceptional customer service. At Davies Homes, we are market frontrunners on customer focus, offering the very best after sales care that is often quite rare with other house builders. We build with great care and attention to detail, providing homes which our customers are proud to own. We are excited to have achieved a prestigious A-star NHBC rating, providing homes which are built to the highest possible standard. We also work closely with Tenovus cancer charity and in 2018, hope to raise £10,000. We are long standing supporters of charities and local community projects, empowering those who need extra support in our local communities.